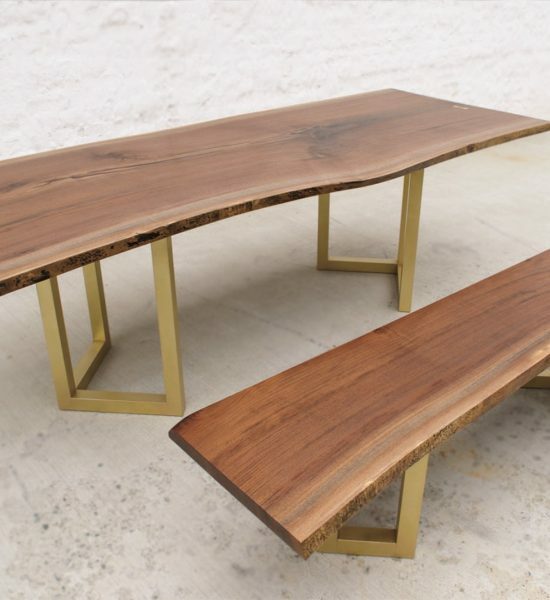 The Emmy Bench is a warm refined live edge slab bench with geometric brass legs. 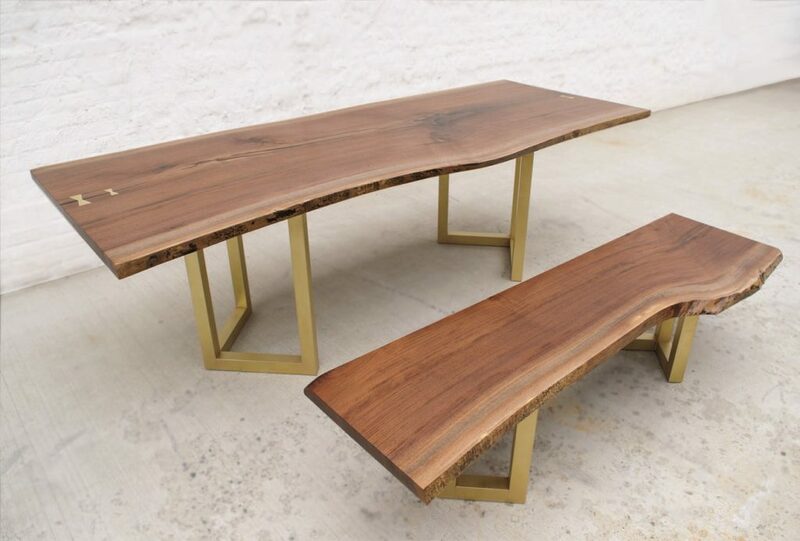 Custom wood species tops available as well as a variety of metal base options. Sizes are custom made to your specifications.